Wood-Baseball-Bats are the hitter's weapon when stepping into the batters box to do battle with the menacing pitcher standing on the mound, only just a shade over 60 feet away. Bats made of wood were the only choice for any batter in the game of baseball until the mid 1970's. But today, bats made of wood are used far less often than aluminum-bats as the metal-bats are the predominant youth-baseball-bat you will find on both the baseball and the softball diamonds of America. Now our world of baseball has gone through an era of the metal baseball bat and it is now turning back to the real game of playing baseball using wood-baseball-bats. The beautiful sound of the crack of the bat meeting baseball like the sound of a rifle shot sending little baseball well into the outfield is once again replacing the ping of a loose runaway hub cap. Go shopping right here online to buy junior a quality wood-bat or an aluminum-bat and maybe he will choose a wood-bat. See your Amazon ad this page or take a lok at one of your other Baseballfarming baseball equipment shops. The choices of wood-baseball-bats which is "just right" now in our todays modern era of baseball could be a controversy of aluminum vs wood bats. All of the professional baseball leagues of MLB baseball play require the use of wood-bats only used by the pros. Due to a concern for power blasts and safety reasons, some high school leagues have recently returned to the wood-baseball-bats. Most of the wood-baseball-bats today are made of northern white ash, but in more recent years birch and hard maple have increasingly become popular options. Some few years back this northern white ash was a species of wood which was very scarce and hard for bat manufacturing companies to get because the supply of the northern white ash was not readily available. This shortage of ready supply for quality white ash opened the door for the use of birch in making wood-bats which proved to be a good suitable product which has gained a following. Birch bats were being manufactured due to the short supply of good northern white ash and thus the Birch wood-bat quickly began to gain in use and popularity with many of the pro baseball players. You might note that age old issue of supply and demand will many times govern the start up and use of different products. What is one of the old sayings, "When a need or demand is there the pearls of wisdom will invent or find the way to fill the demand." Maybe it was "need, or was it demand, which is the mother of invention." There is something unique and even rare when the most prolific home run hitter through out these many years of baseball sets the record in knocking home runs while using a hard Maple bat. During 2007 and the year of the "The Big Chase" is when Barry Bonds was so successful cracking the Home Run record. Known through out baseball with his home run exploits and all of the Baseball World took notice. Barry Bonds was using a hard Maple wood-baseball-bat. No small wonder the demand and use of Maple wood-bats soared in response to the Barry Bonds heroics using the Maple wood-bat. Northern White Ash bat the coming of age for the use of Birch bats then the remarkable feats of Mr. Bonds and the dawning of the age for the hard Maple wood-bat which many had attributed (the bat)as being a hero maker. 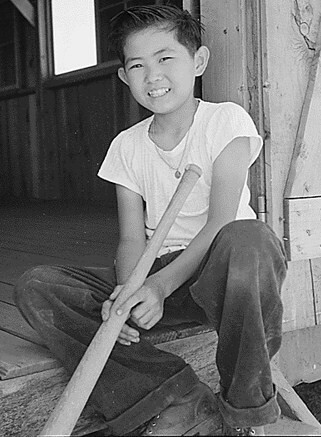 Baseball took to its field of play during the early days using many a home made wood-baseball-bat. The most popular wood of choice for the making of a bat initially was our plain old country grown Oak and Hickory. John Hillerich at the considered young age of 17 changed the wood-bat making world forever when he witnessed a young Louisville baseball players frustration from the breakage of a favorite wood-bat. 1884 brought about the most famous name in wood baseball bats of today - The Louisville Slugger. A recount of young John Hillerich day at the ballpark and a baseball game in Louisville. A 17 year old John Hillerich watched Louisville player Pete Browning become frustrated after breaking his favorite bat. Hillerich and his dad who had a wood working shop and wood products business and with an empathy for Pete Browning offered to make Pete a new bat. The real storyline is that John Hillerich made the wood-bat for Pete using White Ash. From this simple act of kindness started not only one of the greatest names in all of bat making history "The Louisville Slugger" the White Ash wood has been recognized as truly super and the pinnacle wood-baseball-bat material of all time. As time marches by changes will come so you see the march of the woods Hickory dickery dock, Ash white and strong, Birch applied without a smirk and now a new label made of Maple. The wood-baseball-bats took a significant blow to prestige and popularity when metal-bats stepped forward as the rage of the age in the 1970's. Nellie bolted the stable and ran free for now some 4 decades but coming back like gang busters the wood-bat has regained much favor and is again fast becoming the most cherished bat of choice. Springtime, the fresh smell of flowers blooming and new ground being plowed, ones longing to hear that sharp cracking sound of wood-baseball-bats against ball makes our wood-bat the bat of choice. Selecting a wood baseball bat that is to short or to long can affect your game in a big way. Choosing the right length of bat is very important. Cupping: A bat that is cupped at the barrel is more evenly balanced and allows you to swing through the batting zone faster. When cupped at the barrel, a bat is more evenly balanced and allows you to swing through the batting zone faster. Go back to our baseball bats starting page and review information of your baseball bats and the need to choose carefully for one which is "just right." Baseballfarming baseball talk might be a little prejudice for this country boy thinks the sweet sound of bat on ball by wood-baseball-bats is music to the hitter of the best kind. Nice selection of wood-bats at these baseballfarming affiliate shops browse around find and buy one which is "just right." Go to your Baseballfarming Site Map for your Map of any or all of the Baseball you wanted to know. Buy Your Son A Wood Bat "Which Sounds Like A Real Bat"